your favorite place to be! If the building and buying process are new to you (and maybe even if they aren't) the big question is, "Who do I trust to help me with the big decisions...and why?" Hmmm...that's a great question. And the best answer I can think of is that we are real people, just like you. We are excited that the home business allows us to see people creating their dreams and then taking the steps to make them come together. We watched our own modular home be set and finished. Every client's move-in day brings back great memories for us. There's a measure of satisfaction in helping others design a manufactured or modular home that will truly become their favorite place to be! It doesn't take a lot to make us happy. "Want to be happy?" we ask our kids..."Be a better person than you were yesterday, strive to be honest and authentic, and work to have good relationships with others. Life is about people." Family experience... is work experience! 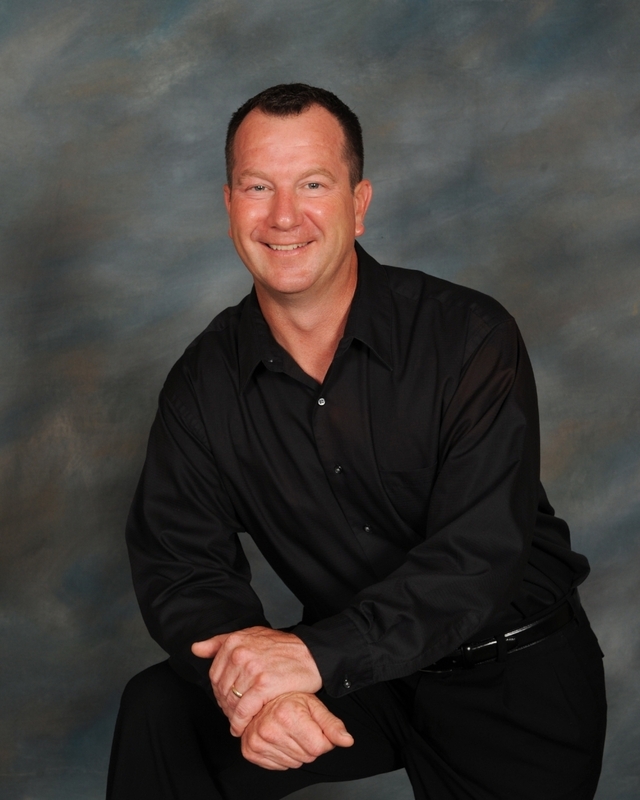 Scott is a veteran of the home building industry for over 20 years now. Beginning in construction while in high school, he worked in different aspects of remodeling and home building until 1997. He then opened his own construction company, focused on site building, remodeling and then modular housing. Married and the father of four grown daughters, he has honed his listening skills and is an excellent problem solver. Entire family at our oldest daughter, Christyn's, wedding. Our own modular home being set. April 15, 2013, what an exciting day! With so many decisions to be made, designing a home can seem to be a daunting task. Scott brings these same valuable family skills into the building process atmosphere. So whether you’re purchasing a Single Wide, Double Wide or Modular home, Scott will guide you to a finished product that will meet your expectations. Personable and dependable, he can walk you through everything from site preparation to finishing touches. Scott is excited to bring Premier Builders' vision of affordable housing to the Midwest and beyond. Has Financing Your New Home Become Confusing? You may have a lot of questions when it comes to financing your modular home or manufactured home. We can answer a few and give you our contact information for any others. At Premier Builders, we want your home buying process to be as trouble free as possible. Allow us to share what we have learned over the years. Many of the steps addressed in this video can help you come closer to the total cost for your new home. No one wants to fall in love with a home and later find that it will stretch their budget too thin. OR, it may surprise you to find out that you can afford more square footage than you thought! Either way, the more you know about the journey ahead, the sooner we can help you get into your new home. Please, keep coming back for more videos specifically targeting the various topics that our customers ask us daily. Modular vs. 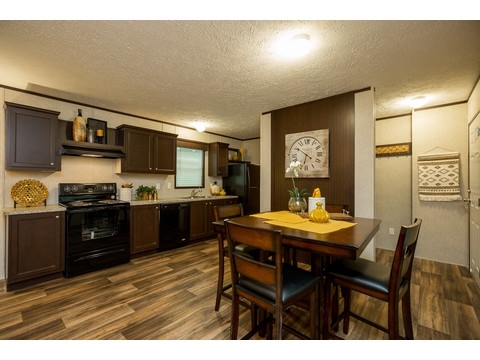 Manufactured Homes, What is the Difference? 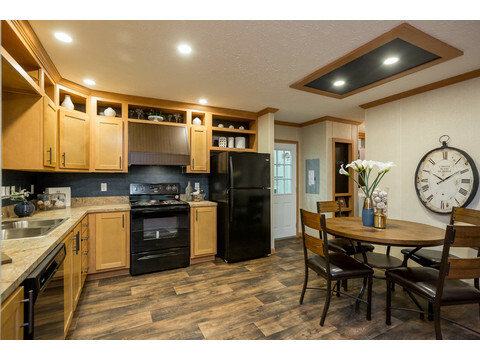 Many people question the difference between manufactured and modular homes. This is a common question we often get asked in our business. This short video will explain three structural differences. In addition, you can scan the 'Question & Answer' portion of our website, pbsbyscott@gmail.com to find more information. Don't hesitate to call us at (260) 577-5320. Our experience can save you from unnecessary loss of time and money as you navigate the homebuilding process. When starting the home building process, one of the first challenges can and should be: Where are we going to put our home? Addressing this first can save time, money and frustration. If you are choosing a rural area, there will be costs which differ from a city or community setting. It will help significantly to know any additional budget costs before you begin shopping for house plans. Not to mention, there can be delays when buying land that slow down your building process. These obstacles are easier to walk through with the guidance and experience of people like us. When this video sparks questions for your own situation, contact us at 260-577-5320. Additional information is always available on our website, pbsbyscott@gmail.com. We'd love to help move you into a home that will quickly become ‘YOUR FAVORITE PLACE TO BE’. Where Are You Going To Put YOUR New Home? WHAT DOEs my PRICING INCLUDE? 5) COMPLETING the interior and exterior FINISH WORK after setting. *There is an allowance of up to $3,000 in crane fees. Anything over will incur an extra charge, but this does not happen often in our immediate local area." 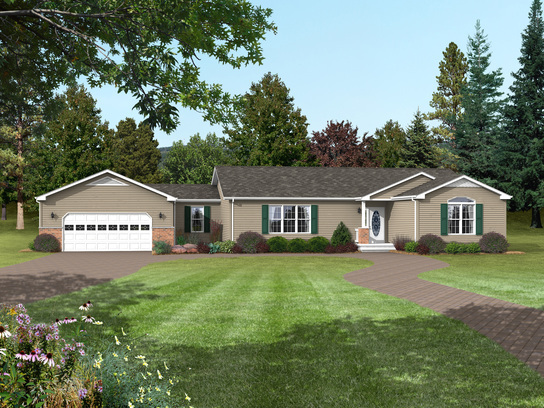 Also, the pictures and artists renditions you see on our website along with the floorplans typically show optional mobile and modular home upgrades: garages, porches and other things (such as landscaping and driveways) that will need to be priced out in addition to the mobile or modular home sale price. We price these on a case by case basis. Anything other than the home itself will need to be accounted for, including the foundation, HVAC, well, septic, outside electric main/gas hookups, etc. For all homes, the following items will have to be bid in addition to the modular home itself: the HVAC system (furnace and A/C), home foundation, building a garage or porch, all utility connections such as the well or water main hookup, sewer system and drains under home, electric service and hookup, gas service and piping hookup, tree removal if needed, landscaping/lawn seeding, gutters/downspouts, and anything else that is done on the property after the home is set on the foundation. Could you add on a GARAGe (…A BASEMENT, PORCH, ETC?) For us? Yes! As a full service dealer and general contractor, we can build whatever you'd like. 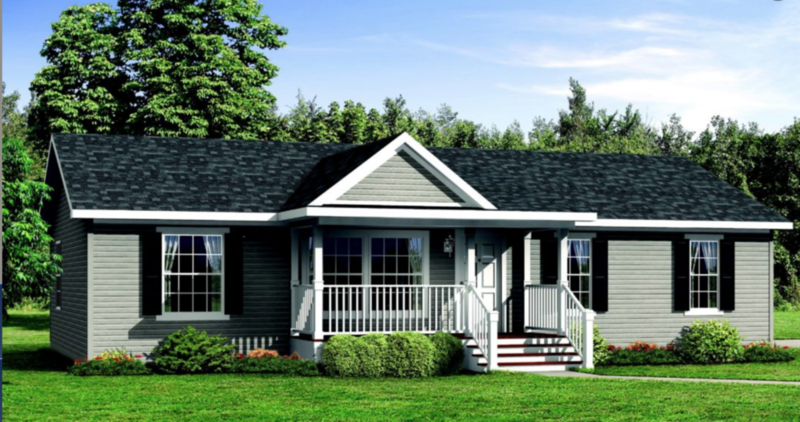 Many of our clients don’t have the time or desire to run a modular home building project. In that case, it's very convenient to hire us as their General Contractor. We can handle every aspect of the building project for you, including obtaining building permits and hiring surveyors. We can hire and oversee subcontractors to clear your lot, dig and construct the foundation, put in the well and septic system or hook up to city utilities. If a garage, front porch or back deck are part of your plans, we can make that happen in smooth succession. You are free to manage your own modular home building project. You can simply hire us to build, deliver and set a custom modular home on your foundation if you wish. WHAT IS INCLUDED IN THE SETTING AND FINISH WORK? Final interior touch-ups as well as a final sweep and vacuum. 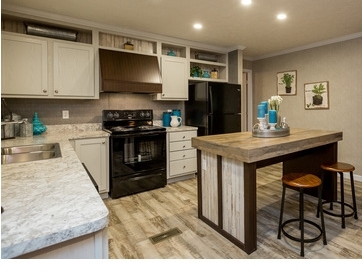 Everything you need to get the interior of your custom modular home move-in-ready! Please Note: Unless specifically noted in the description, the 2nd floor of our Cape Cod Modular Homes will come as unfinished attic space for the price shown (Two-Story modular homes always come finished upstairs). Also, for all homes the HVAC system (Furnace and A/C), home foundation, garages, porches, and all Major Utility Connections such as well and water main hookup, sewer system and drains under home, electric service and hookup, and gas service and piping hookup are priced separately on a case-by-case basis. You will see all these items priced individually on our quote. HOW LONG DOES IT TAKE TO BUILD MY CUSTOM MODULAR HOME? You can usually move into your modular home within 60 to 90 working days. For custom modular homes in the Tri-State area, the time frame is typically 60 to 90 working days. The 60 to 90 working day estimated time frame starts when we place your modular home on order at the manufacturing plant. For an all cash purchase, we order your home as soon as we have finalized the list of modular home options/décor selections, sign-offs and your down payment. For bank financed construction loans, we order your home as soon as the bank closes your construction loan, receive down payment and authorizes us to place the order. 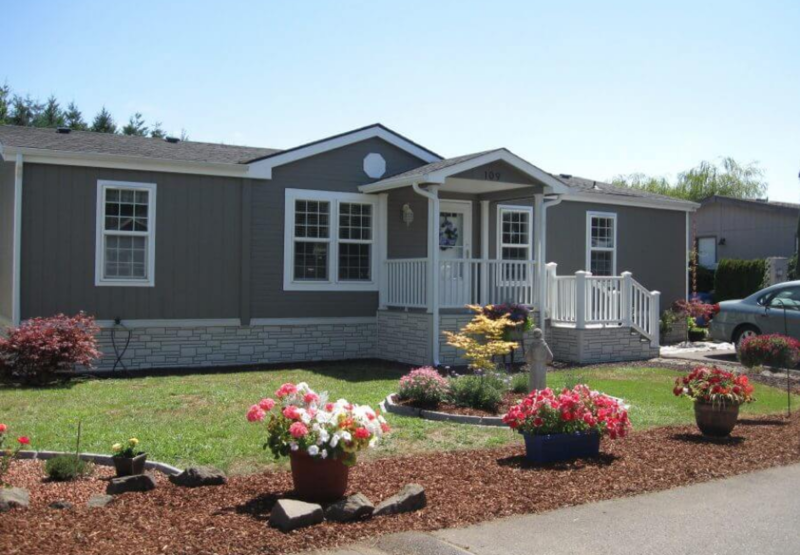 We at Premier Builders take pride in the modular homes we build. We take pride in the lots that we build upon, in the materials used and the craftsmanship involved… but most of all, we take pride in our process. We provide a process that is second to none, and one that allows each component to truly shine. We want the homebuilding process to be a pleasant one that is built on communication and trust. Throughout our entire process, customers will enjoy a close, working relationship with our sales and construction personnel. 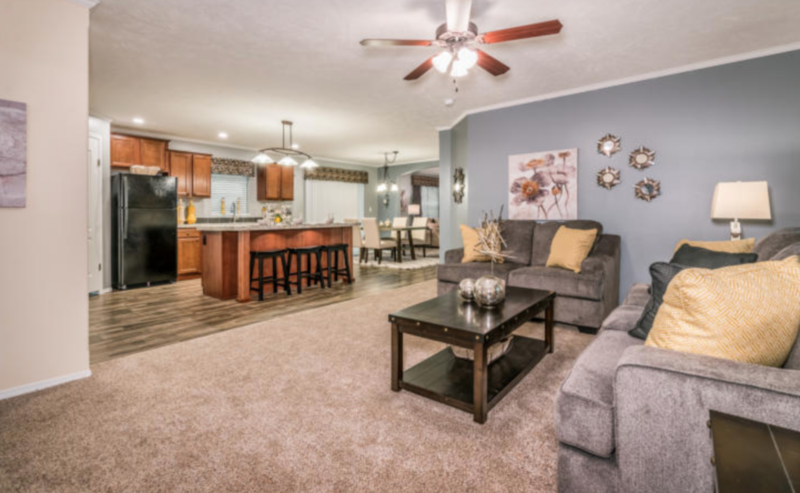 At Premier Builders, we value the relationships we have with our employees, contractors, and, most importantly, the people who will live in our modular homes. Because of these relationships, we can ensure that each of our customers experience the most satisfying homebuilding process. Located in Angola, IN. We serve IN, OH, MI and IL, and surrounding states. We're here to answer your questions and supply you with the information you need. Often times, buying a home is a better financial decision than renting or leasing. It can be less expensive too! We'd love to listen to your needs and then walk you through all of your options. Premier Builders can play a big part in helping your dreams come together. Use this simple form to get started. We will contact you as you request. Our expertise and experience will open doors and avoid pitfalls. Why not let us do the work for you? Call us at 1-260-577-5320 with questions! Premier Builders by Scott McLeish, Inc.